Human Resource professionals face the challenge of attracting and retaining talent in their organizations daily. Employees want to feel that their work is meaningful, and that they have a good relationship with their manager and their colleagues. Studies show that employees will leave a company if they feel disconnected from their peers, or if they don’t feel that their work has a purpose. A Million Dollars In Change will explain how a corporate giving program builds camaraderie among employees and strengthens their relationship with their managers. By working side by side with their employees, managers not only create opportunities for team building, they also spend quality time together outside the office. The book will illustrate how to create interdepartmental volunteer teams that allow employees to lead fundraising and community projects and develop skills such as leadership, project management, and communication, which are transferrable to their daily job functions. In addition, this book will explain how charitable giving and volunteerism boost employee pride and morale, which contributes to retention. Business leaders and owners strive to increase the productivity of their staff and attract top talent to their organization. A Million Dollars In Change explains the link between volunteerism and increased engagement and how this leads to higher productivity among employees. It also sheds much-needed light on millennials and their expectations of a company’s involvement with philanthropy and volunteerism. The book explains how volunteerism creates employee “ambassadors” of corporate culture, thereby raising a company’s visibility and its brand in the community. What this group will find most interesting is the fact that you can launch a corporate giving program with a relatively small budget. In fact, much can be done without any expenditure. Employees want to feel that they are contributing to more than just their company’s bottom line. Employees want to do meaningful work and to feel that their work life ties into their personal purpose. Studies show that employees expect their company to be active in supporting the community. 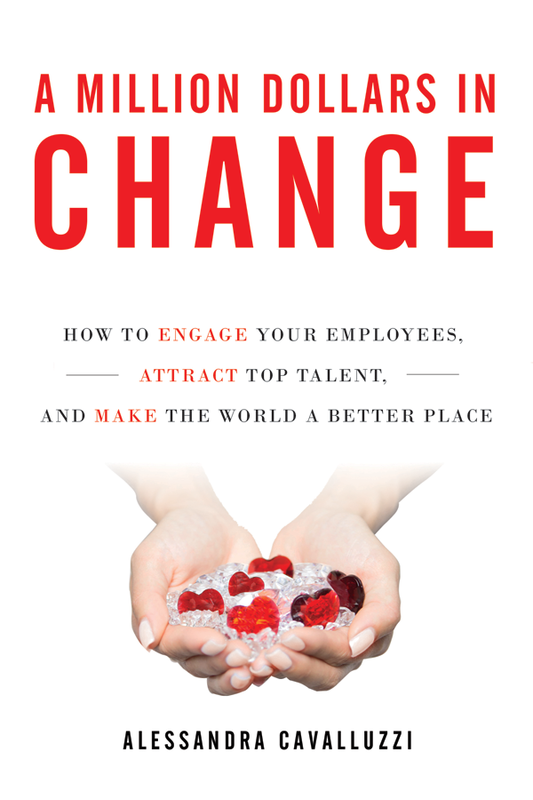 This book will be an excellent resource for employees who work for companies that do not have a corporate giving program, a book they can share with their HR or senior executive leaders to start the conversation. A Million Dollars in Change will bridge the gap between the desire to do good and the knowledge needed to start a formal corporate giving program. Unlike other books on corporate social responsibility, A Million Dollars In Change demonstrates how this type of program works for any company, regardless of size, industry, or location. Nonprofit organizations are chronically understaffed, overextended, and struggle to get their foot in the corporate door. More and more often, corporations field inquiries from nonprofits desperate for funding. As a result, they tend to turn away many requests because they feel inundated and overwhelmed with the frequency and volume of the outreach. This book equips nonprofits with information they can share with businesses they are trying to encourage to be more involved in the community. With 90 percent of donations to nonprofits currently coming from individuals, foundations, and estates, there is a tremendous opportunity for corporations to help these organizations, and to make a more substantial social impact on our communities.